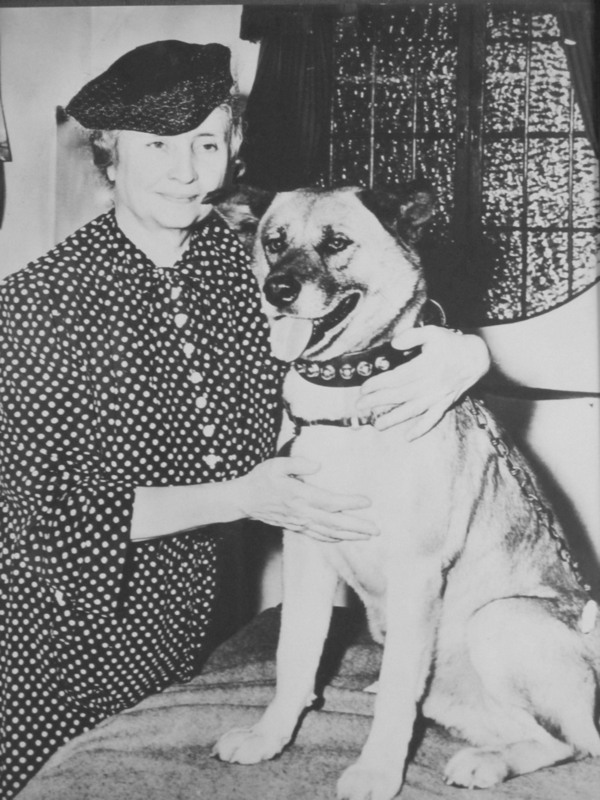 NEW YORK - U.S. author and activist Helen Keller (1880-1968) treasured the companionship of dogs throughout her life, including two Akitas from Japan that in the 1930s became the first of their kind to enter the United States. Half a century since Keller passed away, an exhibition touring the United States and Japan conveys her love for the northern Japan breed that started when she learned the true story of the famously loyal dog Hachiko. 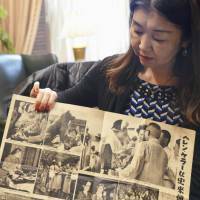 “Hachiko’s story is enduring because it’s a story of eternal love,” curator Yumi McDonald said. 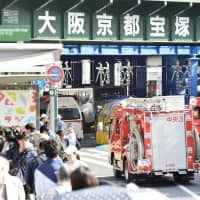 The Akita gained fame for faithfully returning to Tokyo’s Shibuya Station each day to await his owner for years after the man’s untimely death at work. 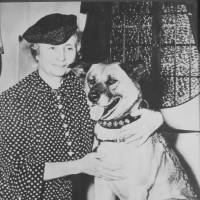 “My main objective with the exhibition was to show the rarely known relations between Helen Keller and Hachiko,” through which the dog’s story became “a driving force for peaceful relations between the U.S. and Japan,” said McDonald, 61, an author and Tokyo native who lives in Connecticut. In “Helen Keller and Hachiko,” which opens this month in Tokyo after earlier showings in New York and Los Angeles, McDonald includes historical photos from her own family’s past in Shibuya in the 1930s as well as letters contextualizing the U.S. activist’s life and travels to Japan. The daughter of a Confederate Army captain in the U.S. Civil War, Keller was born in northwestern Alabama and in infancy lost both her sight and hearing due to illness. As described in her 1903 autobiography, “The Story of My Life,” Keller learned by age 7 to communicate through touch as her tutor, Anne Sullivan, spelled out words on her hand. Keller graduated from Radcliffe College and went on to become a world-famous advocate for disability rights and social justice, helping to found the American Civil Liberties Union in 1920 and traveling to Japan for the first time in 1937 with a letter of goodwill from President Franklin D. Roosevelt. Impressed by the story of Hachiko’s loyalty, which had been popularized through Japan’s national media well before the dog’s death in 1935, Keller asked her Japanese hosts about the breed and expressed interest in taking one back to the United States. Before her departure, she received an Akita puppy named Kamikaze-go as a gift from Japan’s Akita Dog Preservation Society (Akita Inu Hozonkai, or Akiho). The episode marked the first adoption of the breed outside Japan, according to the preservation society. Within a few months, however, Keller broke the sad news in a letter to Japan that Kamikaze-go — whom she described as an “angel in fur” — had died of canine distemper. “Another joy has gone out of my life,” she wrote, a year after her early tutor and longtime companion Sullivan also died. As growing numbers of Akitas were adopted overseas following the war, Akiho launched a North America chapter in Los Angeles in 1970 that would become the first of many international branches. 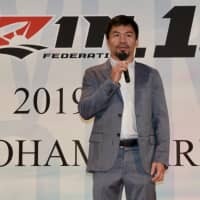 The breed’s profile has continued to rise outside Japan, thanks in part to the government presenting them as gifts in recent years to people like Russian President Vladimir Putin and Pyeongchang gold-medal figure skater Alina Zagitova, also of Russia. Registrations of purebred Akitas outside Japan have soared from less than 100 annually in the early 2000s to nearly 4,000 in 2017. The story of Hachiko has been preserved in popular culture both in Japan and abroad, including in the 2009 film “Hachi: A Dog’s Tale,” a U.S. adaptation of Japan’s “Hachiko Monogatari” released in 1987. 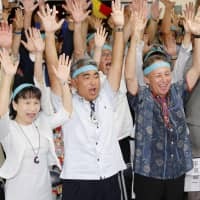 The U.S. film has screened at events this year in connection with “Helen Keller and Hachiko,” and McDonald has been joined by speakers including Akita experts and staff from the Perkins School for the Blind, where Keller studied in childhood. Following the exhibition’s January debut at the Consulate General of Japan in New York and a showing in March at the Japan Foundation in Los Angeles, it heads to Tokyo this month for partial display at the Shibuya Folk and Literary Shirane Memorial Museum. The museum is marking the 70th anniversary of a Hachiko statue erected in front of Shibuya Station in 1948, a replacement of an earlier version from 1934 that was taken down during the war. 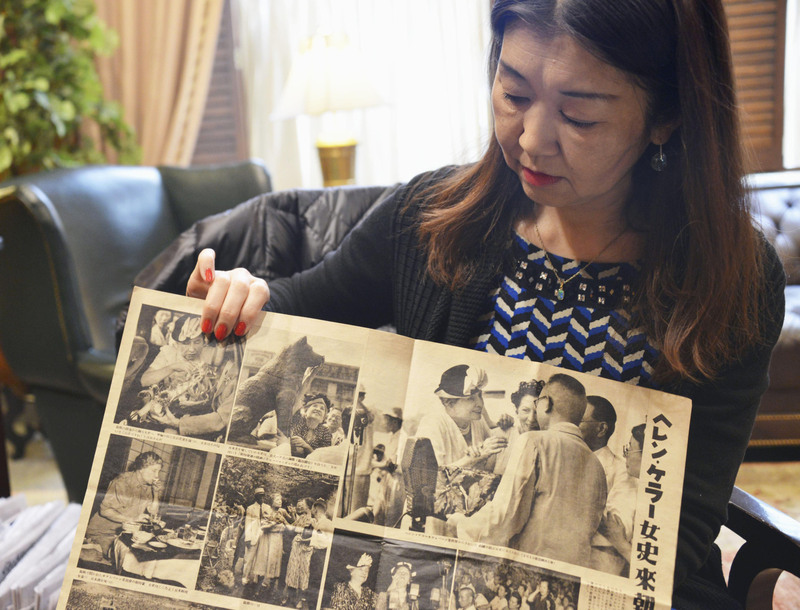 Among the items from McDonald’s exhibition slated for display is a photo of Keller touching the Hachiko statue in 1948, on the second of her three trips to Japan. “(This) moving picture of Helen Keller touching the statue of Hachiko . . . was one of the biggest reasons that I decided to have the photo exhibition,” McDonald explained.